These digital scales for your bathroom and kitchen will help keep you on track in your daily food intake and weight loss or maintenance. 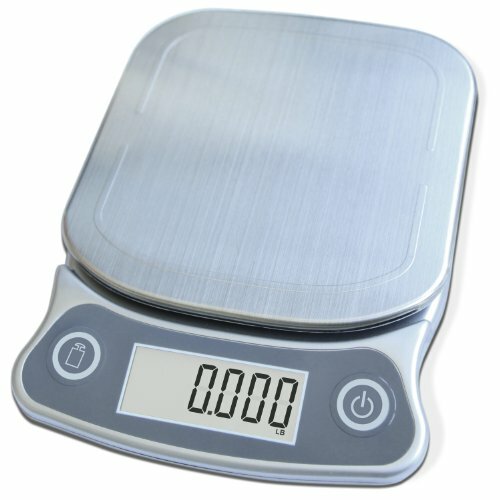 Here you will find a variety of digital scales for weighing yourself and your foods. These sleek scales do the trick and look great in your home, too! Digital scales are easier to read than standard scales. They require batteries, though some do accept AC adapters for plug-in power, too. 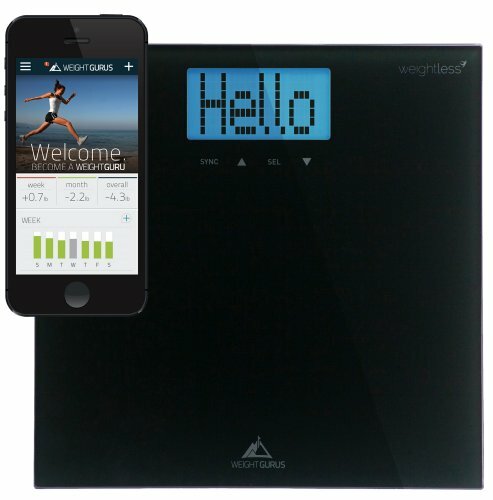 Keeping track of caloric intake and weight loss has never been easier than with these digital scales. You’ll find a variety of styles and brands showcased here. These make great gifts for weddings, anniversaries, birthdays, and other holidays or occasions, too! Find the perfect digital bathroom scales and digital scales for your kitchen right here! The EatSmart Precision Digital bathroom scale has an updated EatSmart Auto-On Technology and Sensor Accuracy. 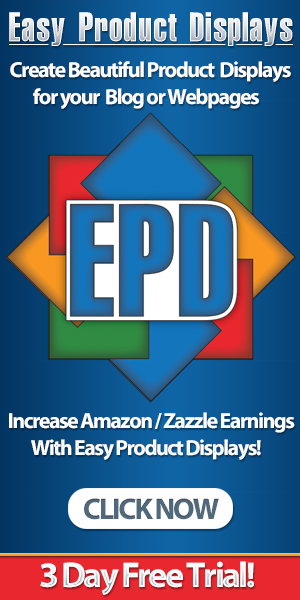 Large 3.5″ LCD display with Accubright blue back light – Easy to read from any distance or angle! The 4 High Precision EatSmart Sensors provide consistent and accurate measurement up to 400 lbs or 180 kgs every time! With over 23,000 reviews enjoy the best in class customer service and support from a trusted vendor! Auto Calibrated; Auto Power-Off; Runs on 4 AAA batteries (included); 100% EatSmart Satisfaction Guarantee! Soehnle’s Body Balance Easy Shape Analytic Bathroom Scale is an incredible blend of high-tech innovation and sleek design. With state-of-the-art Bio Impedance Multi-frequency Measurement (BIA), Body Balance Easy Shape always provides precise data on your body weight, body fat, and water content. It interprets its data direction, so you get a better picture of your overall health. It even gives you graphic presentation with normal ranges. Soehnle’s Body Balance Active Shape Analytic Bathroom Scale is an excellent scale for fitness fans and hobby athletes. The Body Balance Active Shape with athlete mode is the perfect exercise partner that immediately monitors your progress. It determines body weight and measures body water, fat and muscle mass using Bio Impedance Multi-Frequency Measurement (BIA); it also analyses and evaluates whether your data is in the normal range. With automatic recognition of up to 8 people, it’s an excellent scale for the active family. With graphic representation of normal ranges, it’s good information that is easy to read and interpret. It has a large LCD read out. Easy to use, comfortable to stand on, and stylishly well-designed, the Active Shape Bathroom Scale is an excellent addition to your fitness regiment. Take care of your health, and let Soehnle help you along the way. Your entire family can keep track of their weight with these classy digital scales. Choose a simple design, or one that will add some pizzazz to your bathroom. These digital scales will keep you on track in your weight loss and maintenance journey. For more information and pricing on each item click on the pics below. Accurate, easy-to-use digital scale for your kitchen weighs up to 11 lbs. (5050 grams) in precise graduations of 0.05 oz. (1 gram); Cleans and stores easily. Features a newly enlarged weighing platform finished in elegant chrome and 2 large buttons that generate an audible click confirmation. Precision Tare Button calculates the net weight of your ingredients (automatically subtracts the weight of any bowl or container). Automatic Unit Button instantly converts from ounces to grams (oz. to g), pounds to kilograms (lbs. to kg) and displays results on the LCD screen. Soehnle’s Attraction Digital Food Scale is a space-saving digital kitchen scale–perfect for portioning food and precision baking. The Attraction’s weighing surface is made of hygienic brushed stainless steel–giving it a sleek, high-end look and feel. The large, illuminated LED screen is very easy to read. Patented sensor keys ensure easy and convenient operation–just a light touch and you are ready to go. 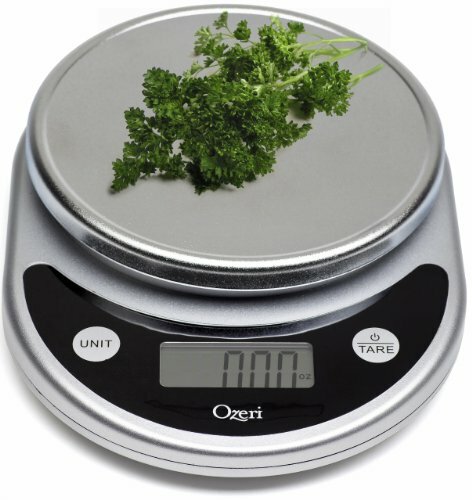 Of course, the scale has a tare function that allows you to weigh in sequence, for fewer dishes. 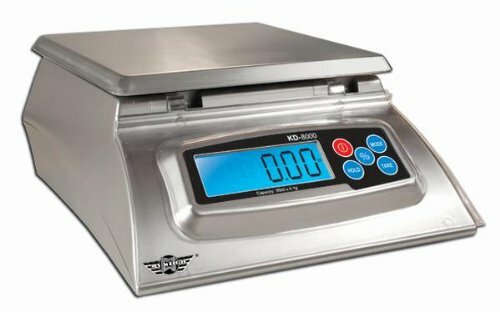 The Attraction Digital Food Scale can also switch between weight and volume measurements to easily move between liquid and dry ingredients. And, as always, it has an auto-off function to save energy. You’ll be happy to clear space for this attractive, useful scale. Professional food scale – Extra large lighted display and stainless steel platform. Max weight 15lbs; Displays ounces/lbs/grams/kgs; Graduation .05 oz / 1 gram. Tare feature eliminates the weight of a plate; 3 Minute Auto-Shutoff lets you prepare ingredients while maintaining battery life. 4 AAA batteries included; 100% EatSmart Guaranteed Satisfaction. 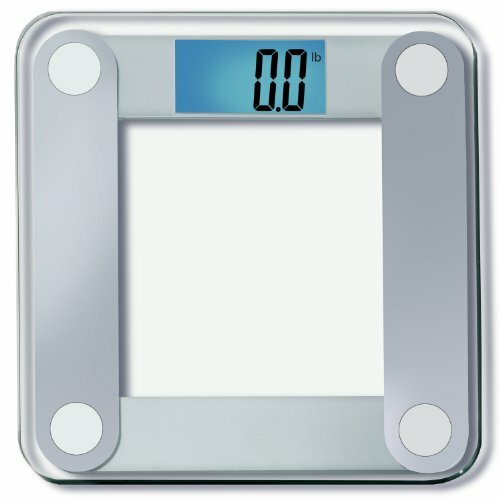 Keep track of your daily caloric intake with this Biggest Loser Digital Scale for your kitchen. It is a digital display that calculates and displays the level of fats, saturated fats, sodium, cholesterol, protein, carbohydrates, sugars, and glucose in your food intake. The scale is powered with lithium batteries that ensures long durability. This digital scale is designed to control the lifestyle of people and maintain their health. It has a large LCD screen on the digital calculator display, which makes it easy to view the accurate values. The Digital Kitchen Scale by Biggest Loser measures up to 6.5 lbs for an increase in volume of every 1/8 ounce. AC adapter (not included)., The My Weigh KD8000 Multi-Purpose Digital Kitchen & Hobby Scale has an 8000 gram capacity with 1 gram resolution. You can also measure your items in pounds only, ounces only, pounds and ounces and kilograms. The stainless steel platform and hinged protective shield make this scale perfect for the kitchen and craft room and the bright display makes reading your weights easy. Whether you are watching your caloric intake, or you simply need to weigh food for recipes, these kitchen digital scales are ideal for weighing food and beverages. You can control how many ounces of meat you cook, how many pounds of vegetables go in your soup, and more, with these kitchen digital scales. For more information and pricing on each item click on the pics below. I have been wanting to buy a bathroom scale but did not know where to start with so many choices out there. Thanks for sharing this. 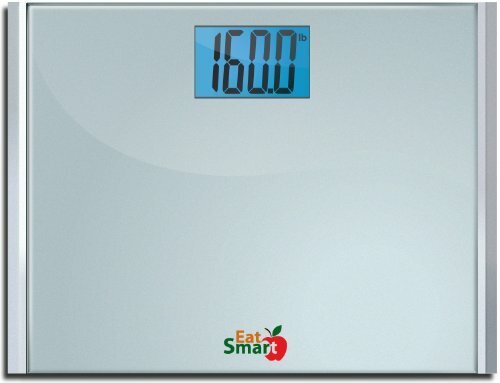 I am now thinking to get the EatSmart Precision Digital Bathroom Scale. Looking for a bathroom scale and this is the best selection I have seen! Thank you for your comment! I tried to put together the best selection I could find, glad you approve!